Easter 2018 – which egg hunts did we go on? If you read Gareth’s post on Ostara, you’ll know that we don’t celebrate Easter on Easter Sunday. Our celebration is on the Spring Equinox because Gareth is a Pagan. But that doesn’t mean that we completely ignore the long weekend surrounding Easter. 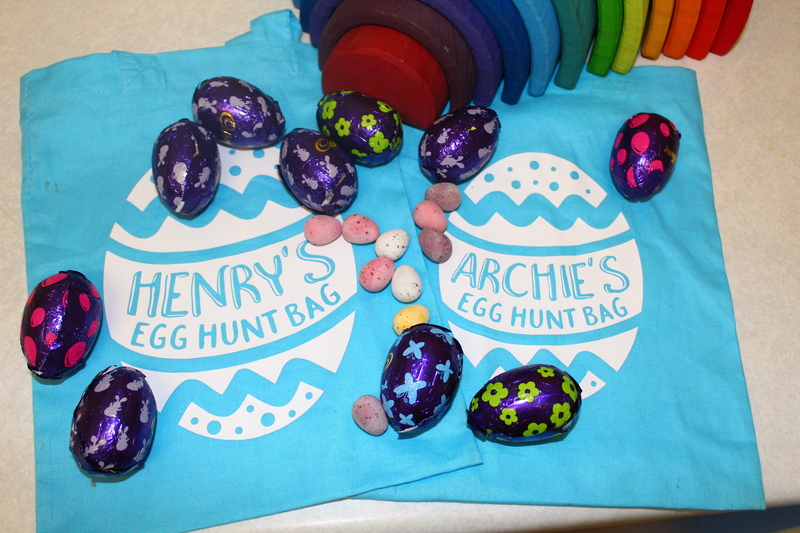 With the shops full of eggs and the promise of hunting them, I don’t want the boys to feel they’ve missed out on that. So what did we do this year? Henry at the Cadbury Lyveden hunt last year. As you’ve probably seen on my Instagram, Gareth had all of last week off and we had loads of family adventures. When we were planning that week, we had in mind that we were going to do 4 egg hunts, one on each day of the long weekend. But after doing research and finding out how much each one costs, it wasn’t going to be feasible! So we settled on 2 definite ones with the possibility of another one if funds allow it. Last year, we did 2 and Henry loved them. One at Rockingham Castle and the other at Lyveden which was the Cadbury one. That was definitely our favourite one. Because of this, we decided to seek out our nearest Cadbury hunt this year too. Unfortunately, it’s not as close as Lyveden (that’s only about 20 minutes away). It was at Belton House which is an hour’s drive for us but totally worth it. We went last year and loved it. We’ve just taken out a National Trust membership so the only cost for us was the £6 for the hunt. Like last year, it was the best hunt we went on. The weather wasn’t perfect (the ground was soaked) but I’d headed out that morning to find wellies for me and Gareth so we were prepared no matter the outcome. It was the first time both boys could do the hunting together so when we were asked whether we wanted the long or short route, we chose the short. Archie was walking everywhere last week and he was sleeping a lot better so we weren’t sure his little legs would make it around the longer route. They had to fill in some questions on animal babies and the answers could be found on signs dotted around the gardens. I think the boys had 6 to find and it took us about an hour which I thought was reasonable. We ended up cutting the trip short (we wanted to take the boys into the adventure playground and on the train they have) but it was so cold. We went to the local garden centre for tea and cake instead! Our next hunt was on Easter Sunday. That morning was Gareth’s weekly Viking training so me and the boys joined him for that and then we headed to Burghley House which is where we were on Tuesday. They did a Halloween trail which we went to (there’s a video on our YouTube channel) and Henry enjoyed it so much that we couldn’t say no to the Easter one. When you buy tickets to Burghley, you get an automatic upgrade to an annual pass which I think is great. The gardens and grounds are lovely but I wouldn’t pay full price just to kill a few hours in their gardens every once in a while! However, they wouldn’t let you use your annual passes to get into the egg hunt. So even though we were “members”, we were still charged the full £35 to get into the gardens. To get entry to the house as well is a bit more. The egg hunt lasted less than an hour. There were two hunts, one for the kids and one for the adults, but as with the Halloween one, we were only given the map for the children’s one. It was soaked (obviously not their fault) but Archie was moaning because he didn’t like the uneven ground which didn’t help the situation. I feel it would have been better if they’d given people with annual passes a discount, say £5 per child, to cover the cost of the egg. Henry did say he enjoyed it so that’s what matters but I thought it was really cheeky of them to charge full price to everyone. Unless this changes, I don’t think we’ll go back next year. What did you all do this year? Next: Next post: Is 19 months our magic number?